Electronic waste (E-Waste) is consumed at high speed in the world. These residues contain metals that increase their price each year, generating new research on the ability of microorganisms to recover the metals from these wastes. 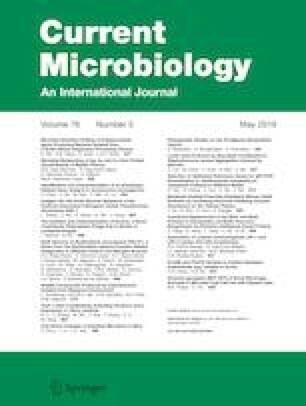 Therefore, this work evaluated the biologic lixiviation of Cu, Ag and Au from printed circuit boards (PCB) of mobile phones by three strains of Aspergillus niger, Candida orthopsilosis, Sphingomonas sp. and their respective consortia, in addition to leaching with citric acid. The microorganisms were cultured in mineral media with 0.5 g of PCB, and the treatments with 1M citric acid were added the same amount of PCB. All treatments were incubated for 35 days at room temperature. The results showed that Sphingomonas sp. MXB8 and the consortium of C. orthopsilosis MXL20 and A. niger MXPE6 can increase their dry biomass by 147% and 126%, respectively, in the presence of PCB. In the bioleaching of metals, the inoculation of A. niger MXPE6, the consortium of Sphingomonas sp. MXB8/C. orthopsilosis MXL20 and Sphingomonas sp. MXB8 leached 54%, 44.2% and 35.8% of Ag. The consortium of A. niger MX5 and A. niger MXPE6 showed a leaching of 0.53% of Au. A. niger MX5 leaching 2.8% Cu. Citric acid increased Cu leaching by 280% compared to treatments inoculated with microorganisms. Although further research is required, A. niger MXPE6 and the consortium of Sphingomonas sp. MXB8/C. orthopsilosis MXL20 could be an alternative to recover Ag from PCB of mobile phones. Authors thank CONACYT for financial support provided by the research Grant CB-239601.